Badger Magnetics is one of the premier electromagnet manufacturers that specializes in the design and manufacture of custom electromagnetic products. Our product scope of electromagnetic products is the greatest in the industry. Our experienced design engineers carefully listen to our customer’s needs and design products that meet or exceed their expectations. For over 63 years, we have been designing and manufacturing custom transformers including laminated single and three phase transformers, toroids and ferroresonant transformers. 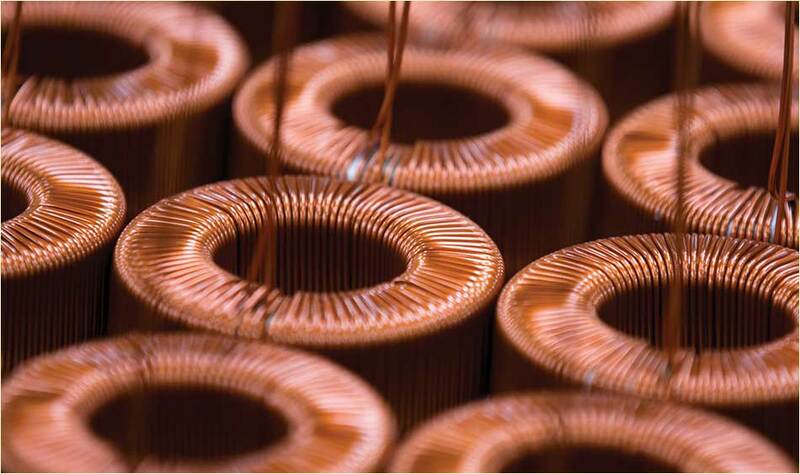 We produce a wide variety of custom chokes, coils, reactors and inductors. Many specialty type products including impedance bonds used in rail track systems, battery chargers, demagnetization coils are designed and manufactured by us. We also have two product lines which are primarily used by the mining industry, often referred to as Mag-Con, which include Rotary Speed Sensors and Resistance Sensing Relays. We presently have three locations to conveniently serve our customers which are located in Milwaukee, WI, Lino Lakes, MN and Colorado Springs, CO. Each location has dedicated customer service and technical sales personnel along with experienced transformer design staff and state-of-the-art manufacturing capabilities. Our Colorado Springs facility is certified to ISO 9001:2015 standards. All of our products are manufactured in the U.S.A.
With over 60 years’ experience, Badger Magnetics has earned its position as a leader in the electromagnet manufacturer’s market. Our products continue to provide both practical and creative solutions for OEM, medical, transportation, energy, military, and industrial applications. Badger manufactures many products that are certified to UL and CSA standards and products that are Military-Spec compliant. Unless otherwise requested, our products are manufactured to be compliant with RoHS standards. Badger Magnetics is an active member of The Transformer Association. Your requirements for a specialized product are the basics of our business. We are constantly trying to evaluate your unique needs and demands to build a quality product that satisfies your requirements. Superior products, competitive pricing, state-of-the-art technology, timely delivery and helpful people – that is the Badger Magnetics’ commitment and that is the Badger Magnetics’ guarantee. You can count on Badger Magnetics to provide smart solutions for your standard and special requirements. We have acquired several transformer manufacturing companies which today comprise Badger Magnetics. Starting with Badger Transformer, we subsequently acquired Mag-Con Engineering, Sub-tronics, Nicollet Technologies, Transformers Inc., Tranex and Bey Electronics.